EghtesadOnline: Oil trade is the cornerstone of Europe’s financial mechanism to maintain business ties with Iran and the system cannot operate without covering the sale of Iranian crude, Foreign Minister Mohammed Javad Zarif said. His comment came in response to a recent report by Reuters in which it cited European Union diplomats who cast doubt on the mechanisms’ capability to keep Iran’s oil trade afloat in the face of the United States’ sanctions on Tehran. “They [EU diplomats] told Reuters that the goals of the nascent trade mechanism could be scaled back to encompass only less sensitive items such as humanitarian and food products,” the report said without naming the officials. 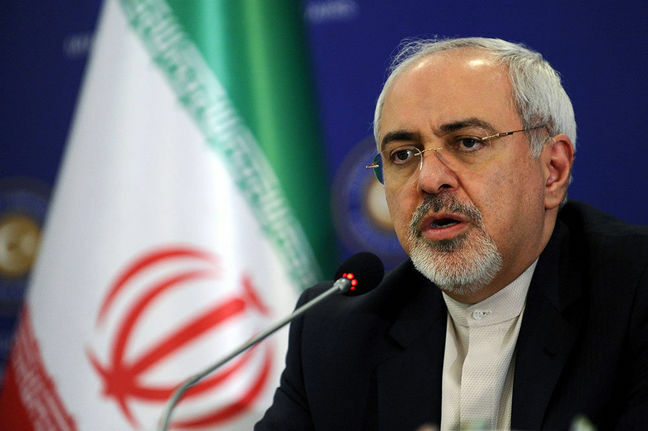 Zarif denied the claim, according to Financial Tribune, stressing that “it is not the case based on the information we have”. “If the money from Iran’s crude sales is not deposited into an account, it is not certain whether there would be any money at all for transactions,” he said, stressing that oil constitutes a major portion of Iran’s exports. He described such speculations as propaganda to disappoint the Iranian public. A senior French diplomat was quoted as saying by Reuters that “the SPV [Special Purpose Vehicle for trade] is important, but what’s more important to the Iranians is oil and ensuring their exports in the long term”. EU Energy Commissioner Miguel Arias Canete also told Reuters in an interview that work was continuing to enable the mechanism to handle oil sales. “We are developing a very sophisticated special purpose vehicle. It is not easy,” he said. The financial system or the so-called SPV has been devised by EU as part of efforts to keep the 2015 nuclear deal alive after the US withdrawal in May and its restoration of sanctions on Tehran. The SPV is meant to act as a clearinghouse to enable Iran-EU trade by avoiding monetary transfer in the US dollar. It was set to be legally in place by the time the US sanctions on Iran’s oil and banking sectors were to snap back (before November) and become operational in 2019. However, its launch has faced a delay due to complications regarding where to establish the headquarters. None of the European states had volunteered to host the facility to avoid the risk of being targeted by US measures until France and Germany finally suggested they could take the responsibility. According to Zarif, Europeans seem to be taking “excessive caution” in this regard while meeting the obligations of the nuclear deal or the Joint Comprehensive Plan of Action essential for their security. “Europeans want to enjoy the benefits of JCPOA without suffering the cost of easing their security concerns,” he said. He, however, hoped that “good news” about the financial channel will emerge in the coming days since Iran has received information about positive developments on the part of Europeans. “We are holding technical talks with the EU and are hopeful that the SPV will meet the needs of the country to an acceptable degree,” he said, although pointing out that provision of guarantees for the mechanism’s practicality would be essential afterwards.